Founded in 2017, The Horses Mouth is an events and consulting business, with a focus on creating specialty cocktails. Friends for over two decades from growing up in Virginia's Shenandoah Valley, both Josiah and Ezekiel relocated to upstate New York's Sullivan County in the western Catskills. Together they share extensive knowledge, experience, and passion about the history of mixology. They are also the new owners of the Cochecton Fire Station. Originally the town's actual fire station, Josiah and Ezekiel renovated the building and transformed it into a community restaurant and bar that opened in August 2018, with a food menu created in collaboration with Chef Henning Nordanger of Henning's Local in nearby Cochecton Center. The Horses Mouth has been invited to host special events at the Bethel Woods Center for the Arts, including educational talks on the history of .mixology, as well as cocktail-making demonstrations. Check back soon for an upcoming schedule. The Horses Mouth has created Henning's Local craft cocktail menu, including such favorites as Ornery Old Fashioned (story below), The Smoking Monk, Apple Jack Flash, and Corn & Oil #6 (all pictured above). The restaurant showcases Norwegian chef Henning Nordanger's take on American comfort food, with ingredients sourced from throughout the region. Josiah and Ezekiel also collaborated with Henning on their own bar food menu for the Cochecton Fire Station. Cocktail photos by Michael Roberto. 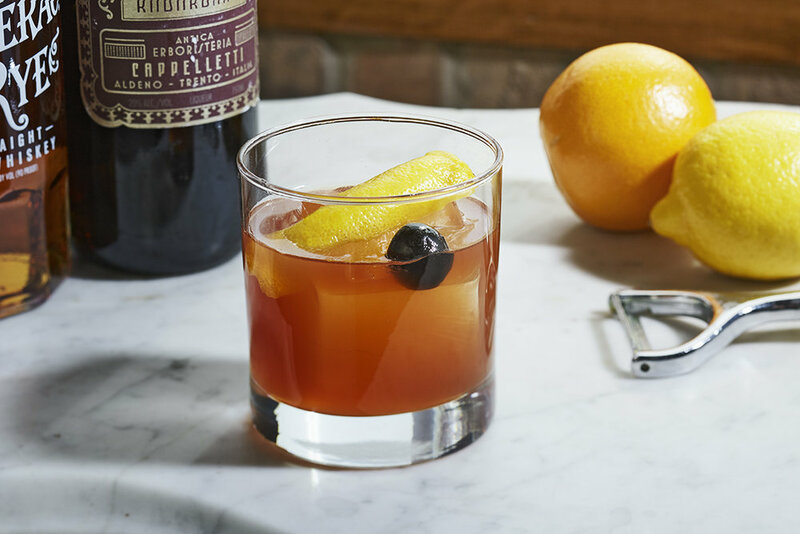 For Henning's Local, The Horses Mouth created the Ornery Old Fashioned in honor of local pioneer, John Gorzynski, of the Gorzynski Organic Farm in nearby Cochecton Center. Its ingredients are Sazerac Rye, Amaro Sfumato, oleo saccharum, Angostura bitters, orange bitters, orange peel, and a Luxardo maraschino cherry. This portrait of John by Francesco Mastalia is now in the Permanent Collection of the Library of Congress and can be seen in his book, "Organic: Farmers and Chefs of the Hudson Valley," with texts by Gail Buckland, Joan Dye Gussow, and Mark Ruffalo. Published by powerHouse Books. Photo © Francesco Mastalia. 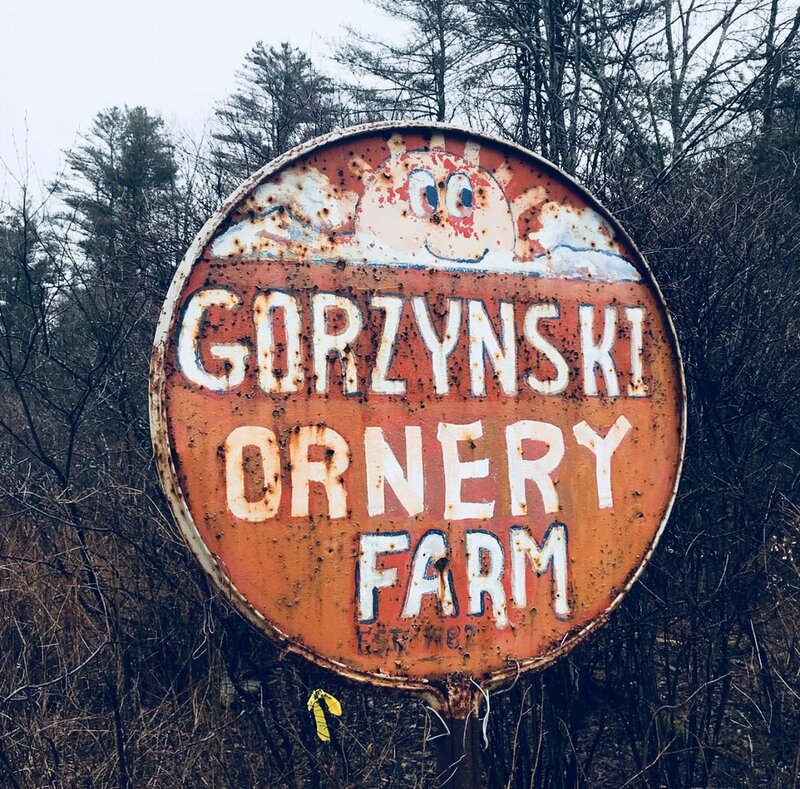 Farm sign photo by Dennis Bell Outerbridge.